The Ozone hole has reached land and population areas in Argentina, Chile and The Falkland Islands since the 1990's. Ozone levels drop down as much as 70% in some areas. The protective level of ozone has dropped below 150 dobson units in some areas. 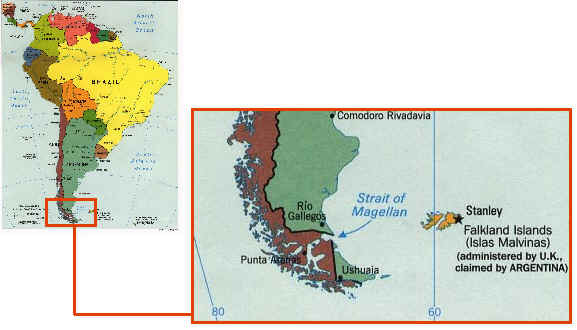 The area and population affected including the Argentinean city of Ushaia which has a population of 30,000 and Punta Arenas, Chile which has a population of 120,000 .It has reached further north at times affecting the towns of Rio Gallegos, Puerto Santa Cruz, and Rio Grande affecting an additional 200,000 people. Punta Arenas is the only city in Chile where the media provide a daily report on ultraviolet radiation levels. When there is a yellow alert, there is a moderate level of UV radiation, but an orange or red alert means dangerous levels. The residents of Punta Arenas, despite receiving more unfiltered solar radiation, are less affected because they do not expose as much skin to the Sun's rays. The region's cold temperatures mean that people are less likely to be found outside with bare heads or arms. Another element in their favor is the location of the city with respect to the Sun. In Punta Arenas, solar radiation reaches the Earth's surface at a much more acute angle - and is therefore less intense - than in Santiago, located 2,200 km to the north. Chile has various ozone level measuring stations, Institutions like the Meteorological Administration and the Universities of Chile and Magellan, carry out permanent exploration on the state of the ozone layer.